Add another running back to the list of players the Pittsburgh Steelers have shown interest in. 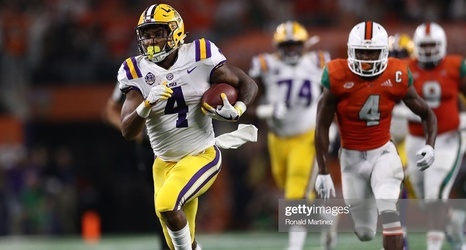 According to this tweet from the Houston Chronicle’s Aaron Wilson, the team had or will have a private workout with LSU RB Nick Brossette. Brossette is viewed as a borderline draftable candidate. His stock took a nosedive following a poor Combine workout where he ran a 4.